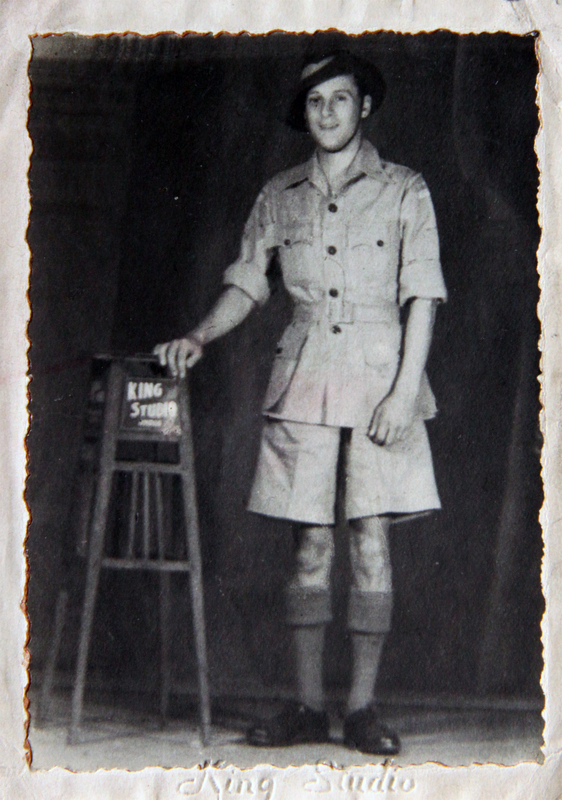 Bob McNally joined 211 Squadron of the RAF in India. 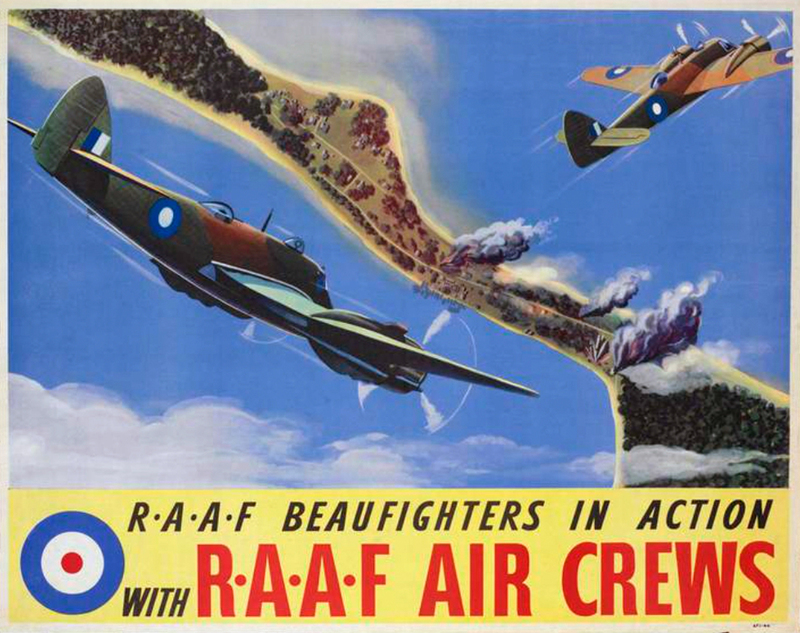 The squadron was equipped with 18 Bristol Beaufighters, supported by 50 aircrew and up to 350 ground crew. In November 1943, they moved to Ranchi, Bihar, India, to carry out pre-operational training, the squadron experimenting with armour piercing rocket projectiles. Advancing to Silchar after Christmas, they commenced their operations against the Japanese in January 1944. In 42 sorties over the next 3 weeks the Squadron lost only one Beaufighter. In May they relocated to Feni, on the Bengal-Burmese border and were presented with the ‘worst flying conditions in the world.’ Nevertheless they managed to stage four operations a day, thanks in part to the excellent servicing of Bob and his mates. In July, the Squadron moved to Chiringa. In the adverse weather, four bridges had collapsed along the Feni-Chiringa Road. Rations, water and petrol had to be ferried across flooded rivers in Kistus and Sampans, yet remarkably their operations were halted for only 48 hours. That month the squadron attacked 47 locomotives and 75 vehicles. Bob sent photographs and letters home to his family, often with rather insightful and meaningful comments about the war. 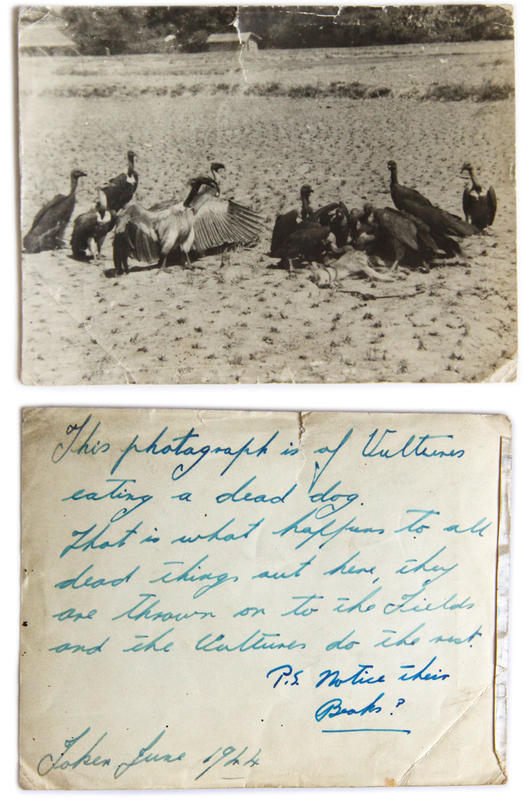 On the back of a photograph of some vultures eating a dead dog, taken in June 1944, he wrote to them: ‘That is what happens to all dead things out here, they are thrown on to the fields and the vultures do this rest.’ In other correspondence he noted: ‘No Co-op out here.’ Bob was injured and put on a Red Cross train back to India, which was then bombed and derailed, causing him even worse injuries. He was left with a large scar across the top of his head. He was then shipped home to England and safely back to his wife Margaret, whom he married earlier in the war. Postcard from Feni on the Indian Burmese border. 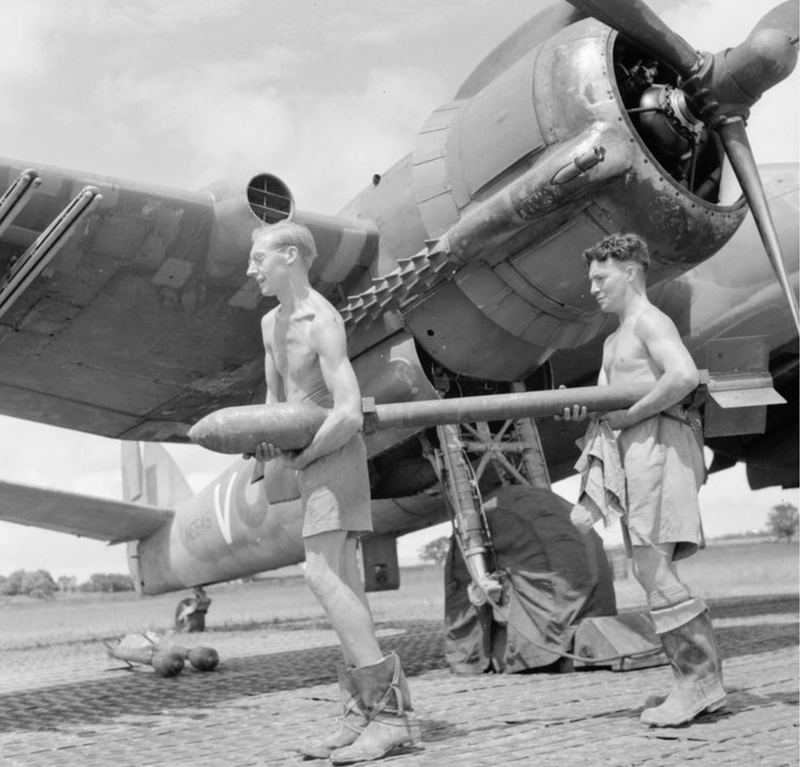 Aircrew carry a rocket projectile to load a Bristol Beaufighter, 211 Squadron, Ranchi, India December 1943. Photo © IWM CF 180.